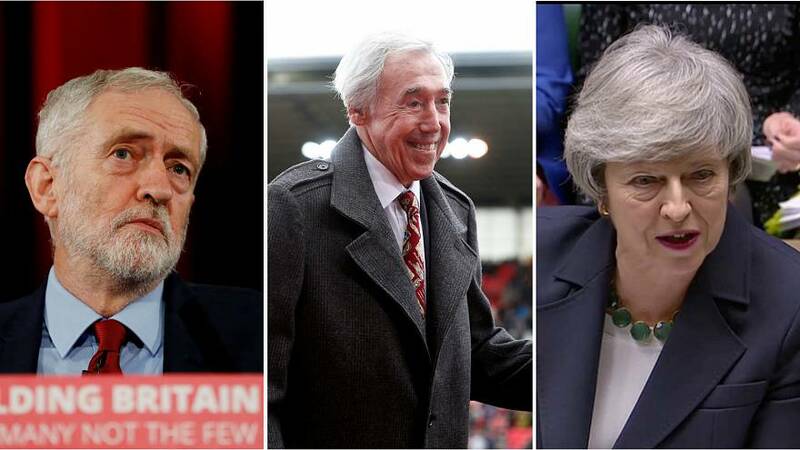 In a rare move for British politics, UK Prime Minister Theresa May and opposition leader Jeremy Corbyn laid aside their differences on Wednesday to pay a shared tribute to the late footballer Gordon Banks. Banks, the English World Cup-winning goalkeeper, died on Tuesday, aged 81. "He was one of the greatest goalkeepers of all time," Corbyn said in a tribute in parliament on Wednesday. "Seventy-three caps for England, including playing in every single game during the victorious 1966 World Cup campaign, which I remember with joy." Finding some rare common ground with her political rival, May also sent condolences to Banks' next of kin. "Like the right honourable gentleman [Corbyn], I am old enough to remember the 1966 World Cup," she said. Amid laughter from her fellow MPs, May went on to joke: "Now let's be honest in this House, I think that's important." Turning back to her tribute, she added: "He was regarded as one of the world's greatest goalkeepers, but I also know that he did a lot of community work in his local area as well." "And I know members from all sides of the House would like to join me in paying tribute to him," she said, with Corbyn nodding in agreement.